The African Rhinoceros evolved over millions of years, and despite living on earth for eons, it has not been able to survive the greed of human beings. 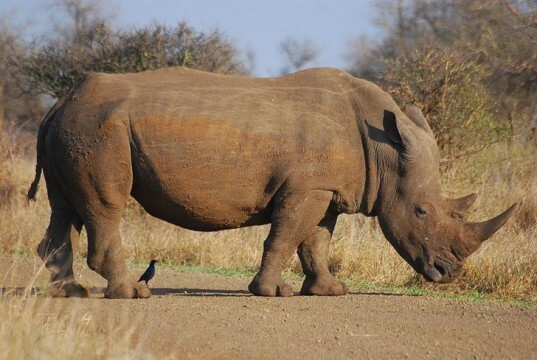 Conservationists have announced that the last 15 of the animals were killed by poachers last month in Mozambique’s section of the Great Limpopo Transfrontier Park. Slaughtered for their horns, which fetch higher prices than gold on the Asian market for their supposed cancer-curing and aphrodisiac properties, rhinos in neighboring areas are also in peril. To add to the tragedy, authorities believe that the poachers were aided by the park rangers sworn to protect them.